Aaron Fajardo is a police officer on a mission. 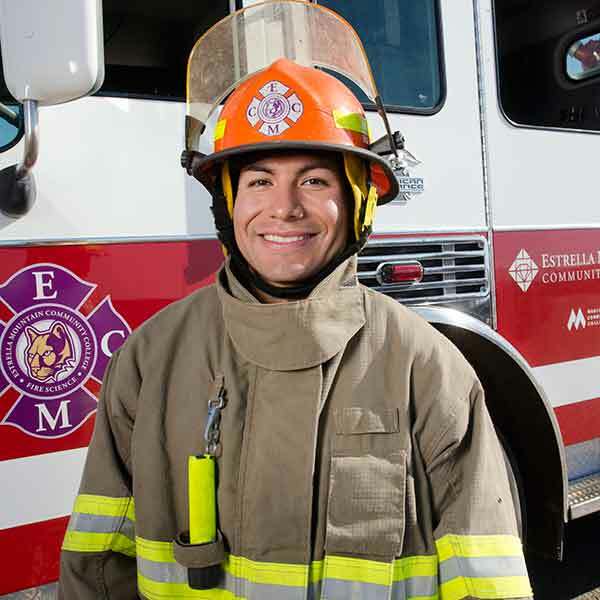 A student at Estrella Mountain Community College, he is taking courses to become a firefighter and said he wants to continue his career in public safety. Self-described as loyal and trustworthy, he said he is the first in his family to work in public safety, but hopes to start a long chain of family followers. Fajardo said he is motivated by many things but mostly family. Fajardo said that he would like to work in public safety for the rest of his career and hopes that his career path helps others.